Many of the most popular social media sites started as more of a personal place for friends to socialize but quickly became powerful tools for businesses to market their product and services. Statistics will tell you that participating in social media networking can increase your business by leaps and bounds. Social media is now the number one activity on the web and it can yield more power for your business than ever. Over 90% of marketers use social media for their business. Twitter is the second most popular social media site and should definitely be a part of your social marketing arsenal. Below are ten tactics you can use to help increase your sales and make your business more successful. 1. Be Consistent – Nothing can kill a social media account like an inactive user. Don’t think you can post once or twice a month and keep an active following. You have to be consistent and you have to participate. Work out a tweeting schedule and stick with it. Retweet items of interest. People are active at different times so tweeting items of interest one time will not achieve the results you need. 2. Always Respond to Comments – By always responding to a comment you are acknowledging that person and letting them know what they have to say is important to you. This will encourage more people to interact with you and build the relationship needed to form a lasting business connection. By responding promptly to all comments your credibility will flourish and your reputation will make itself known. Ignoring comments will make the potential lead for your business go away. 3. Develop Leads from Giveaways – Holding a giveaway on Twitter can not only bring you new leads, it can also improve your ranking in the search engines. Have people enter on a sign-up page and send a specific tweet. This tweet will contain your link and relevant keywords. You can also search for people who would be interested in winning your giveaway for more possible entries. If you are giving away a natural beauty kit, then use those keywords to find people who would want to win that prize. Let them know about your giveaway and what they have to do to enter. Once your giveaway is over you can use the list of entrants to screen out viable leads for your business. 4. Use Photos or Images – As you probably already know images and photos can greatly increase the response to a post or tweet so you should definitely take that into consideration. Emotions greatly influence what we buy and what we don’t buy so use photos to bring out the emotions needed to trigger a person’s decision to buy your products and/or services. 5. Specials and Discounts – Regularly tweet discounts, coupons and special offers. Let your followers know you always have something going on from which they will benefit. Be creative and make these specials unique. Holidays are a great time for fun promotions and contests. One that I have always like is an Easter Egg Hunt. Be the first one to find the hidden Easter egg on our site and get 50% off your first order. You could take it a step further and have different color eggs with each color offering a different prize. 6. Hashtags – By simply using hashtags, you can increase the chance of your tweet being found and read. People searching for specific tweets can find you through your hashtag. Your hashtag can also build your brand. Hashtags can stir up the buzz about a specific business or marketing campaign. For example: Domino’s Pizza asked people to tweet with the hashtag #letsdolunch. Once a certain amount of tweets were posted, Domino’s would then lower their prices by 50% for an allotted time. You can also use hashtags in your contests and giveaways. 7. Make It Mobile – Make sure you are mobile-friendly. More people are going mobile every day and you need to make sure your sites and pages can be viewed properly on mobile devices. Be sure to take advantage of Twitter’s mobile features. 8. Share Testimonials – Periodically tweet short fresh testimonials from your customers. For example: Thank you John who says: using #ZitBeGone has given me more confidence to make every day a success! Tweets like this can help give a potential customer the boost they need to visit your site and possibly purchase your products. 9. 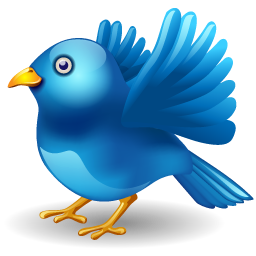 Schedule Tweets – It is impossible for us to be on Twitter sending tweets 24/7 so the next best thing is to regularly schedule our tweets. When scheduling tweets, the first thing to do is determine the best times to tweet. A free tool that can help you find out the best times to tweet is Tweriod. They will analyze your followers’ tweets to find out when they are active on Twitter and when you should be active as well. If you find these times to be difficult to tweet then you can use tools such as Hootsuite to schedule those tweets. By utilizing such tools, you can remain active at all times keeping your Twitter account more alive, thus attracting more potential customers. 10. Search for Customers – You can use your Twitter account to search and find customers. By using keywords that relate to your products, you can find people who are talking about these products and you can then offer the solution they are seeking. Get involved in these discussions so you can make yourself available to help find the solution. Use the Twitter search function to find these leads. You can also use a tool called Tweetdeck to set up searches. Respond to these people quickly and make a connection. Many people will go with the first business to respond to their needs. These ten tactics are just the tip of the social media iceberg. Use social media to its fullest capabilities and take the time to map out your strategy. Social media is here to stay so don’t resist it, embrace it!